Rat infestation in any home or business needs to be controlled, or serious damage can result to property and material items. Rats can become so bold as to begin attacking pets and even humans. They can become a scourge, to be sure, which is why learning simple but effective trapping techniques can make all the difference in the world for rat control. Snap traps are considered the best and most humane way to trap rats, so this article will concentrate on those. A snap trap is a piece of wood or plastic consisting of a trigger and a spring-loaded heavy gauge wire that snaps shut once the trigger has been disturbed. The trigger is where some kind of bait is placed, whether it is a type of food that rats prefer, or a nesting substance such as pieces of straw or yarn. When the food is nibbled on or the nesting material is grabbed to remove it, the trigger will release the spring and the heavy gauge wire will snap shut with lethal force across the rat's neck and head area. This instant kill causes no pain, virtually no loss of blood, and the rat can then be quickly disposed of by pulling back the heavy gauge wire and releasing it. 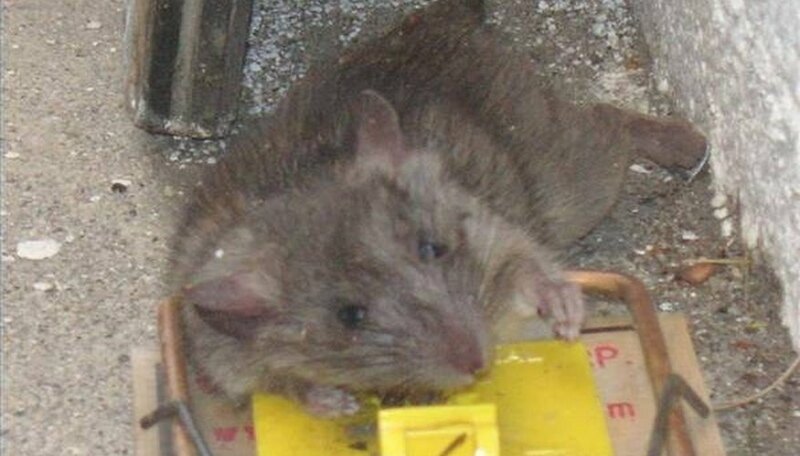 Once the dead rat has been removed from the trap, it can be reset quickly, re-baited, and placed once again where rats are known to be. 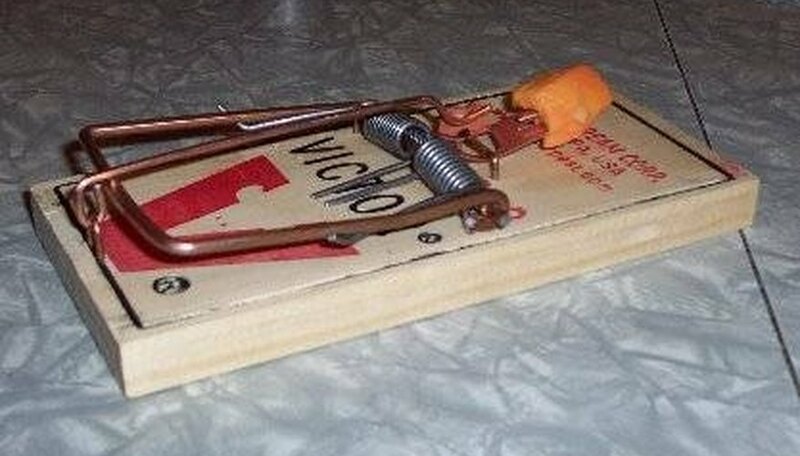 More often than not, a rat trap will be set with a type of food that a rat will not be able to resist. Foods with an especially strong smell are the best rat attractants, and should be considered first. 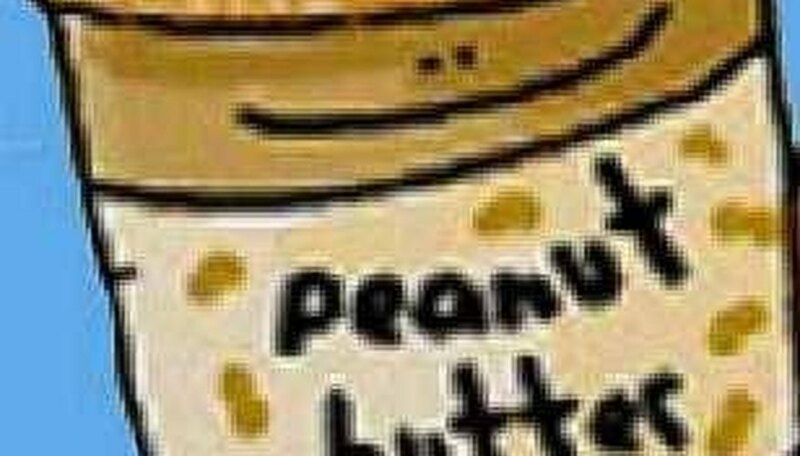 Peanut butter, bacon, nuts and even chocolate have been used with success, but a good oily peanut butter will stay fresh longer and is considered one of the best baits. If there is a large amount of food in the surrounding area, such as in a feed mill, a different approach might need to be taken. Rats are always drawn to nesting materials such as straw, plastic foam, cotton and virtually any other kind of soft material. These may need to be physically tied down to the trigger to avoid them from being stolen, and using dental floss to secure them works well. When material like this is tied down, the rat will have to physically tug at it which will then release the spring mechanism, trapping the rat. There are two schools of thought on trap placement. Rats tend to follow walls to guide them for food and shelter. They do this because they don't have very clear vision, and they use their whiskers and senses of touch to navigate from place to place. Knowing this fact means that rat traps should be placed perpendicular against a wall, with the trigger to the inside. This places the bait in the perfect position for any rat to come across, and increases the chance of catching one. If you can find actual rat pathways, whether they are under insulation in an attic, behind cabinets or places that show signs of repeated rat activity, this will be a prime place to set a trap. Many times traps set in these areas need no bait at all, simply because the rats will walk over them and set them off by themselves. 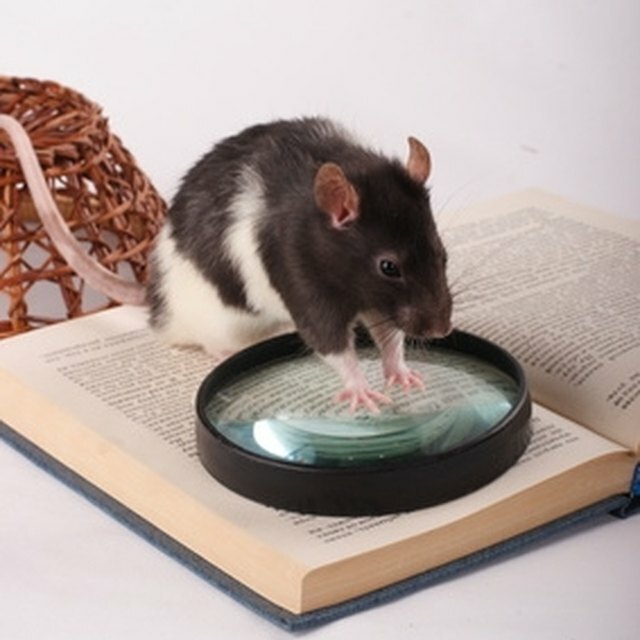 Rats are very intelligent animals that learn quickly. If a trap snaps shut and misses them, or they see another rat get trapped, they may become trap shy and will refuse to take the bait. Start putting out traps that are not set, yet keep them fully baited. You may even want to cover them a bit with sawdust or grain to hide the structure of the trap. After a few days of monitoring, and when you notice that the bait is being consumed, the rat is no longer trap shy, and the trigger can once again be set. What to Do When a Water Well Goes Dry?